Myself and two teammates were asked to expand on our knowledge of face capture from the simple little rigs built for the local science museum. 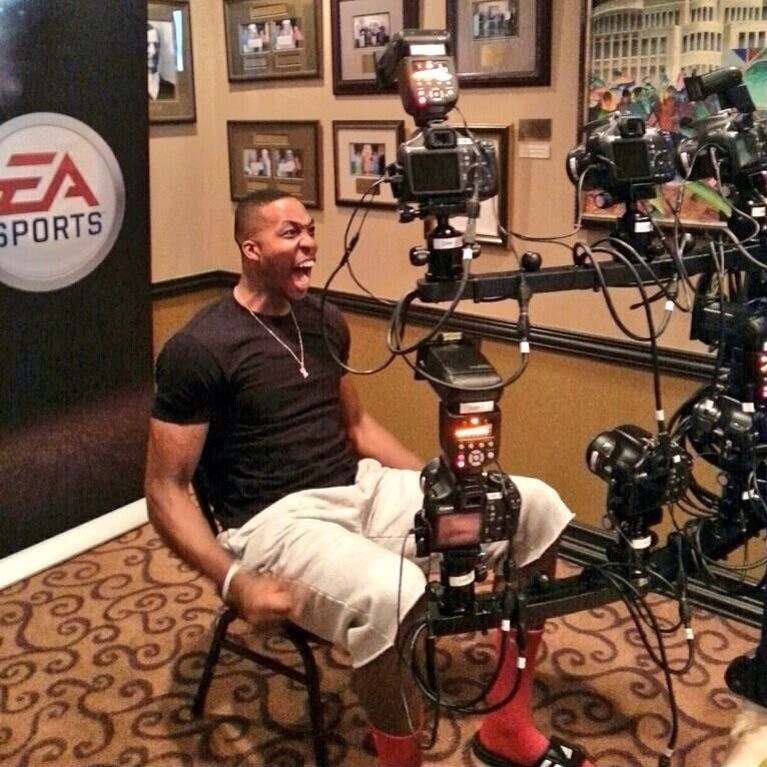 Seen in this video is our 12 DSLR, fully automatic face scan rig. It syncs and triggers all cameras and flashes with an Arduino based logic unit. Everything is self contained in two checkable Pelican cases for airline travel at a moments notice. It works great, down to capturing players wrinkles and pores!